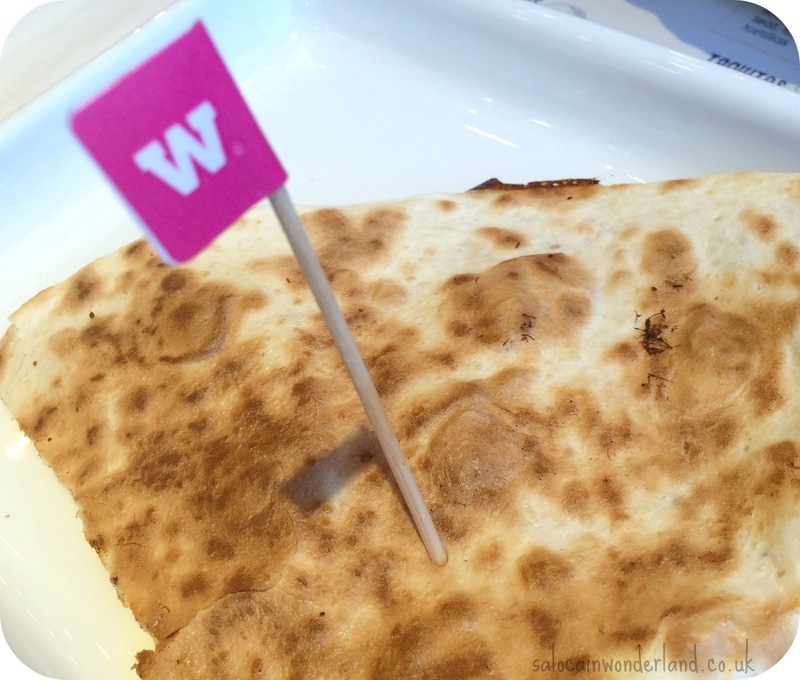 Wahaca has been on my to-eat list since it opened and I can’t believe how long it has taken me to get here! But I did! I made it! Totally unplanned and by accident in the end, but isn’t that how some of the best things happen? I’d heard so many wonderful things about what Wahaca had to offer so you could say I went in with a big empty belly and big hopes! 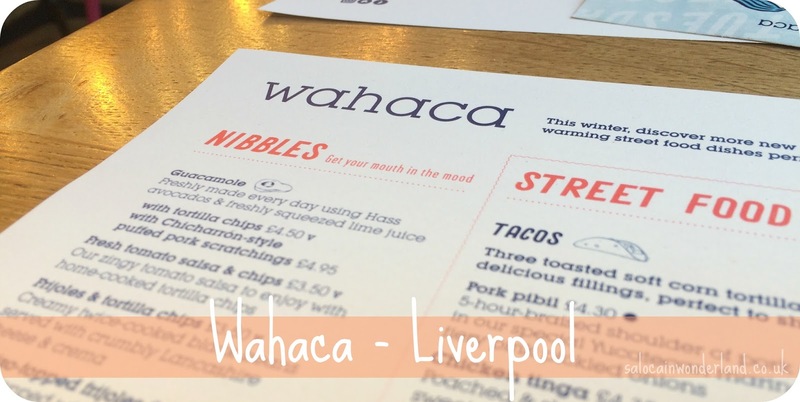 Wahaca offers an extensive Mexican street food menu, filled with tacos, tostadas, taquitos and quesadillas served tapas style. There are a few bigger meals on offer if you're not feeling in the mood for picky picnic style but I love being able to have a bit of everything, it’s not greedy at all! Ha! I’ve got to shout out to their drinks menu too which is pretty extensive with some amazing cocktails, beers and of course, tequila! As it was a Sunday afternoon I left the tequila well enough alone but that didn’t stop me picking out and partaking in a cocktail or…two. I grabbed an Earl of Mexico whilst we eyeballed the menu which was delicious - I mean it involved gin so of course, it was going to be good! Eventually, we picked out a couple of plates and put our order in. The food comes out as and when it’s ready but we must have picked well because everything came out at once! I dug into the smoked chipotle chicken quesadillas first and they were delicious and way bigger than I expected! I devoured one and moved straight onto the chorizo and potato quesadillas which, hands down, might have been my favourite thing of the whole afternoon, the potato made all the difference and with a cheeky dollop of their own in-house chipotle chilli sauce, MMMMM yes! 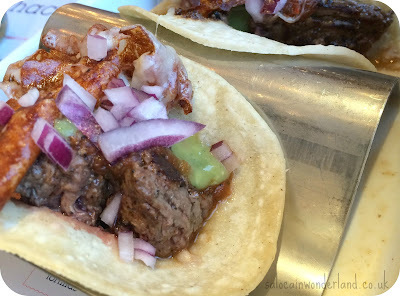 Next up, the Grilled British steak with cheese tacos which were moorish little mouthfuls that went down a treat, I just wish they would give you an even number - 3 between two people leads to fork fights people! 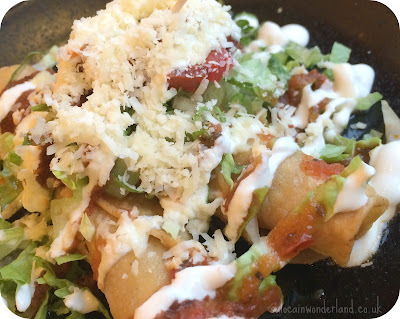 The marinated chicken taquitos were so different and delicious! Rolled tortillas filled and deep fried to a crisp served with salad, cheese and salsa. These were a little meal in themselves and so nice! Last but not least, we finished our mains with the Ancho Chicken Baja tacos; grilled chicken thighs marinated in sweet and smokey ancho chilli, topped with habanero mayo and jalapeño picked carrots. I expected these to be really spicy but they were surprisingly mild! They had a warm kick to them but nothing that would blow your socks off! We purposefully only ordered a couple of plates as we really wanted to save room for dessert, and this is where things got interesting. The Mr got himself some churros with a warm chocolate sauce that was delicious and almost better than the churros I had in Florida last year. 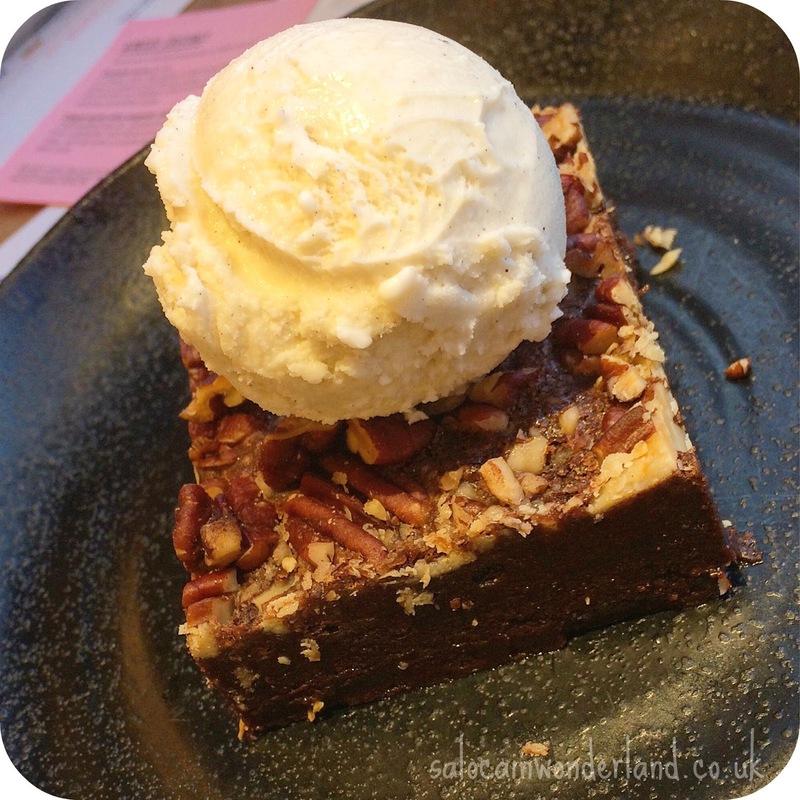 Then, came my desert of choice…cricket brownie! An actual brownie made with actual crickets! The crickets are ground and used as flour, making this a gluten-free indulgent option too! I couldn’t believe how amazing this was, so moist and topped with lots of walnuts and vanilla ice cream. I finished with a Tamarind Margarita as we paid the bill which was delicious and a perfect end to what had been a fantastic meal. 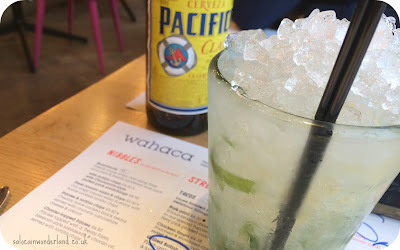 The whole vibe in Wahaca is so chilled and laid back and it’s one of the most photo-worthy restaurants I’ve been to in a while! It was a great place to dine out as a couple but would be perfect to catch up with a bigger group. Price wise, it was about average for tapas in the city centre and the cocktails were bang on what we’d expect to pay. I seriously can’t fault anything, I feel like I’m almost jinxing us now, will it be this good when we go back? Because I can honestly see that happening sometime real soon! Are you a tapas lover or prefer just one big plate of food in front of you? This place sounds amazing, I love Mexican food. I've never tried a churro before but they sound delicious. 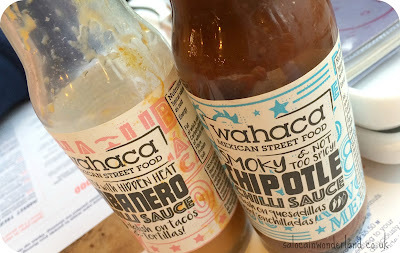 Is Wahaca a chain? I think it is a chain, I'm sure I've heard there's one Manchester way! 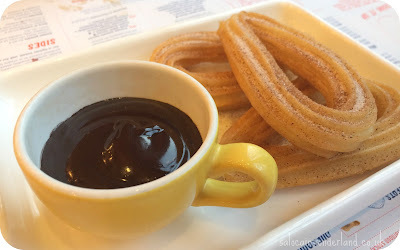 Churros are so good, especially if you like doughy, cinammony goodness! Ohh I LOVE churros! I've never been to Wahaca but totally would just for those! Also that's insane that there are actually crickets in the brownie!? AMAZING! Actual crickets! They grind them up and use them instead of flour! Easily one of the best brownies I've had in a long time! I want to go back just for the desserts!